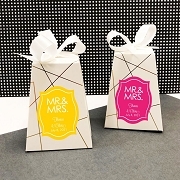 With simple black and white elegance, you can send love and thanks to your guests through these heavenly Hugs and Kisses From Mr and Mrs Scented Soaps. Congratulations on becoming Mr. & Mrs! Gift box measures 3.25" x 2.25" x 1.5"
Loved the soaps. They will be a great addition to the tablescapes. A touch of black always grounds a decorative space. Very tastefully packaged. 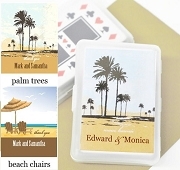 While this product is functional, it is perfect as a wedding keepsake. It has a great price point and boxed very nicely.